With the last remnants of the dust emanating from the cantankerous 2019 general elections having settled resulting from the concluded Rivers State gubernatorial and State Assembly elections, aggrieved chieftains and stakeholders within the All Progressive Congress [APC] have begun repositioning their posture within the party to overthrow the leadership of the party in preparedness for the 2023 round of national elections. 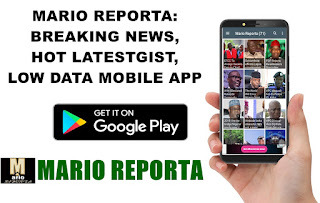 Information available points to a major crack/divide within the APC with Nasiru El Rufai, Rotimi Amaechi, Babatunde Fashola, Rotimi Akeredolu, Kayode Fayemi – on one side of the divide – and Bola Tinubu and Adamu Oshiomole on the other side. This divide is believed to a noxious pose threat to the continued existence of the party. This is as the new group headed by the Governor of Kaduna, El Rufai appears primordially determined on wrestling control of the APC from the Jagaban led cabal. The power equation currently controlled by the Tinubu/Oshiomole primarily dictated the process of the APC primaries both nationally and locally where Tinubu largely controlled the southwest and Oshiomole controlled the remainder of the country, particularly the northern regions of the country. But with the chemistry of the buildup to the coming 2023 general elections taken hold, the aspirations of the presidential hopefuls in the likes Babatunde Fashola, Kayode Fayemi, Nasiru El Rufai have stirred up the power equation.